"David" spent 84 days in jail for a case in northeastern Wisconsin that was eventually dismissed. During that time, he lost his car, job and apartment. He also had his 50-50 placement of his son reduced to only one weekend a month. David asked that his identity be shielded because the state could refile charges against him. On a summer night in 2017, a police officer conducting a drunken-driving sweep in northeast Wisconsin tried to pull over an SUV after a check showed the owner had a revoked driver's license. The driver fled. As the officer gave chase, siren blaring, the vehicle blew through multiple stop signs in a residential area. The vehicle owner told the Wisconsin Center for Investigative Journalism that he was not driving the car that day; his ex-girlfriend had been using it for months. He asked that his identity be shielded in this story — "David" is a pseudonym — because although the case has been dismissed, prosecutors could still refile charges against him. So David sat in jail for 84 days waiting for his trial — even though he had an alibi and witnesses to swear that he was not driving the SUV the night of the chase. Eventually, David's public defenders got the case dismissed. But he can never get back the nearly three months he served in jail for a crime he said he did not commit. During that time, David lost his job, his car, his apartment and visitation time with his now-12-year-old son. 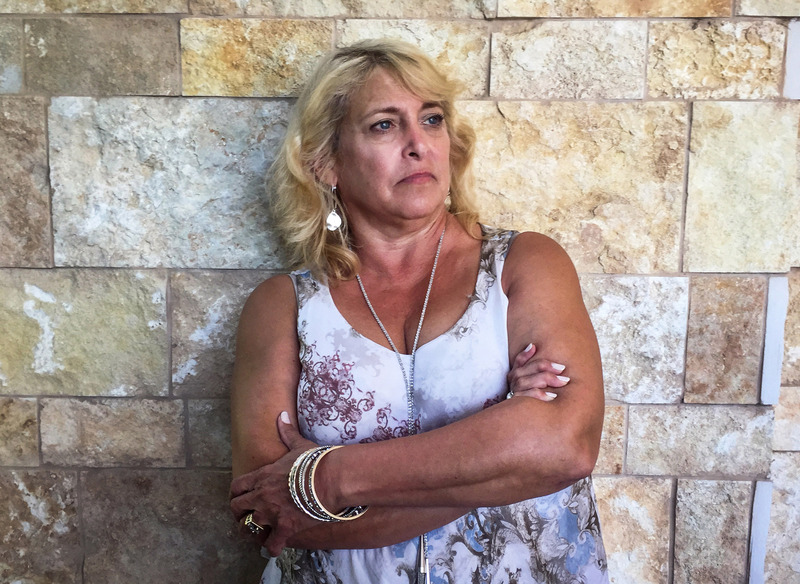 While David was in jail, his son's mother filed for child support, which David could not pay. After he was released, his 50-50 custody changed to one weekend a month. "I thought you were supposed to be innocent until proven guilty, not guilty and then prove you're innocent," David said. Studies show incarceration for inability to pay bail can cascade into a chain of events that jeopardizes the lives of those charged, their families and society at large. These problems, and a raft of lawsuits, have prompted numerous states including Wisconsin to question whether cash bail for minor offenses is cost-effective — or even constitutional. According to a 1987 U.S. Supreme Court case, liberty is supposed to be "the norm," and detention before trial "the carefully limited exception." Today, for many of those too poor to post bail, detention is the norm. The Wisconsin Constitution states that cash bail can be used only as a means of making sure the accused appears for the next court hearing — meaning judges are not supposed to consider public safety when making decisions about bail. Wisconsin judges still set high cash bails for serious crimes, using the justification that the accused is a high flight risk because he or she is facing a lengthy prison term, said Dane County Circuit Judge Nicholas McNamara. In January 2019, a Wisconsin legislative study committee will consider various proposals to change the system. They include allowing or requiring judges to consider public safety when deciding whether to let a defendant out of jail pretrial, and sharply reducing or eliminating cash as a condition of release. Researchers have found that spending even a few days in jail awaiting trial correlates with defendants committing more crimes later on and pleading guilty even if they are innocent. It can also exacerbate poverty and cause defendants to lose child custody or employment. Holding them in jail also can be counterproductive; research shows defendants detained pretrial for even brief stays are less likely to show up for court than defendants not detained. The United States spends $14 billion annually on incarceration of approximately 450,000 inmates awaiting trial on any given day — or 63 percent of the nation's jailed population, according to a 2017 report by the Pretrial Justice Institute, which advocates for "safe, fair and effective" pretrial justice practices. Policymakers and judges across the country, including in New York, New Jersey, Georgia, Texas, Maryland and Ohio, have joined the chorus pushing to eliminate cash bail for minor offenses or set bail based on defendants' ability to pay. In January 2018, a California appeals court ruled that failing to take into account a defendant's ability to pay was unconstitutional. The case involved a man who was held on $350,000 bail for nearly a year after allegedly robbing another resident of his apartment building of a few dollars in cash and a bottle of cologne. "Discrimination on any basis, including on the basis of how much money someone has, is a violation of the equal protection clauses and due process clauses of the New York State and United States Constitutions," Rosa wrote. "Freedom should not depend on an individual's economic status." Mississippi had 3,700 defendants who were in jail awaiting trial at least 90 consecutive days, including 875 who waited for over a year, according to a 2018 study by the MacArthur Justice Center at the University of Mississippi School of Law. The center, a criminal justice watchdog, sued local governments in Mississippi over the detention of poor people, alleging they were running "debtors' prisons." "Because it has been imposed in every criminal case in Mississippi for decades, it is hard to convince people to end the practice of money bail," center director Cliff Johnson said. "The fact remains, however, that no one should have to pay for their freedom simply because they have been accused of a crime." Now-retired Milwaukee County Circuit Judge Jeffrey Kremers said he has seen that disparity play out in Wisconsin's largest county. Back before the county changed its bail policies, many defendants could not afford even small cash bails. Said Kremers: "$150, $200 and people are sitting in our jail. You can't tell me those people are dangerous. If you thought they were dangerous, you wouldn't set bail at $200, right? And they couldn't get out." That year, Wisconsin's pretrial jail incarceration rate was 158.4 per 100,000 residents, compared to the national average of 209 per 100,000. In contrast, New Mexico, which had the highest rate, jailed 462 per 100,000 residents pretrial that year. Rhode Island had the lowest rate at 86.2 per 100,000. Dane County is one of the few Wisconsin counties where clear data are available. According to an April 2018 report by Nicholas McNamara, the Dane County judge, among all criminal cases in Dane County from 2012 to 2016, 81 percent of defendants were released on signature bonds, meaning they pay only if they fail to return for their next court date or violate terms of their release. For misdemeanor cases, that number was 86 percent. 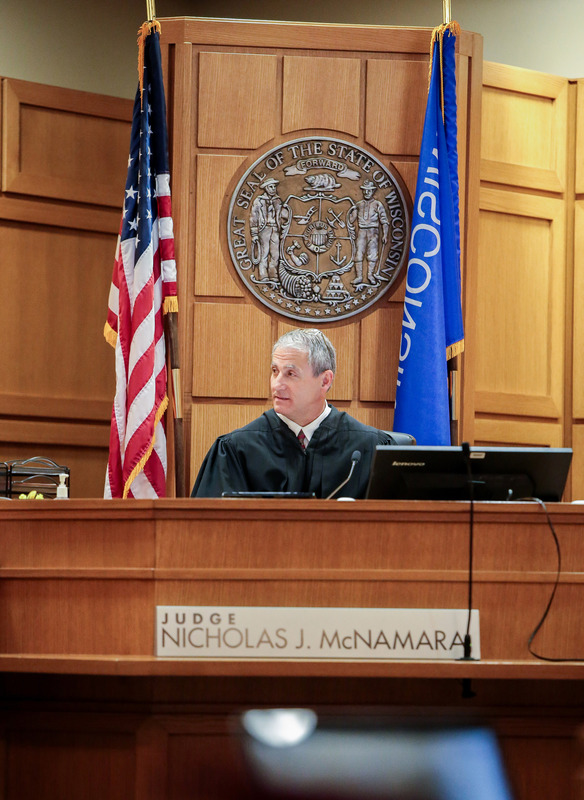 The national problem of holding defendants on "excessively high" cash bail for low-level crimes is "probably not happening in Dane County," McNamara concluded in his report. The judge said he is not aware of another similar report in Wisconsin, so it is hard to gauge how often this happens in the rest of the state. Dane County Circuit Judge Nicholas McNamara analyzed all Dane County criminal cases from 2012 to 2016 and found that 81 percent of all defendants are released on signature bond, meaning without cash bail. 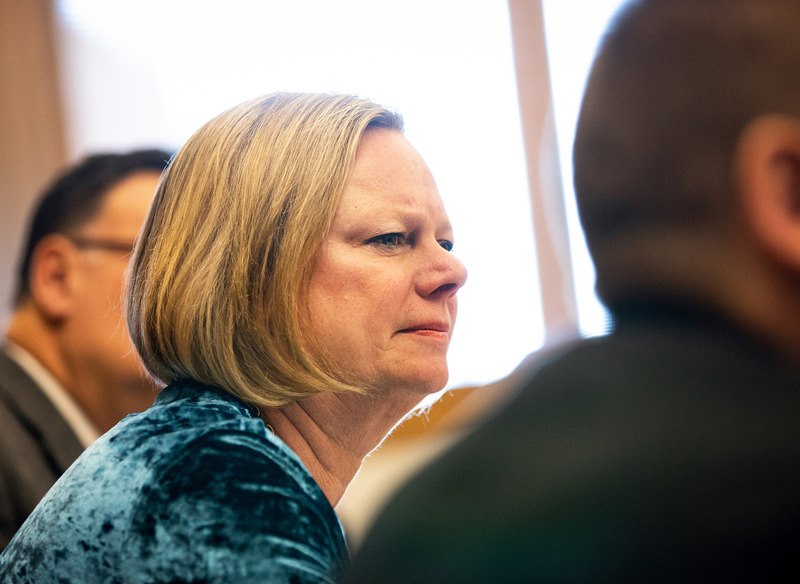 McNamara concluded that the national issue of holding defendants on "excessively high" cash bail for low-level misdemeanors is "probably not happening in Dane County." 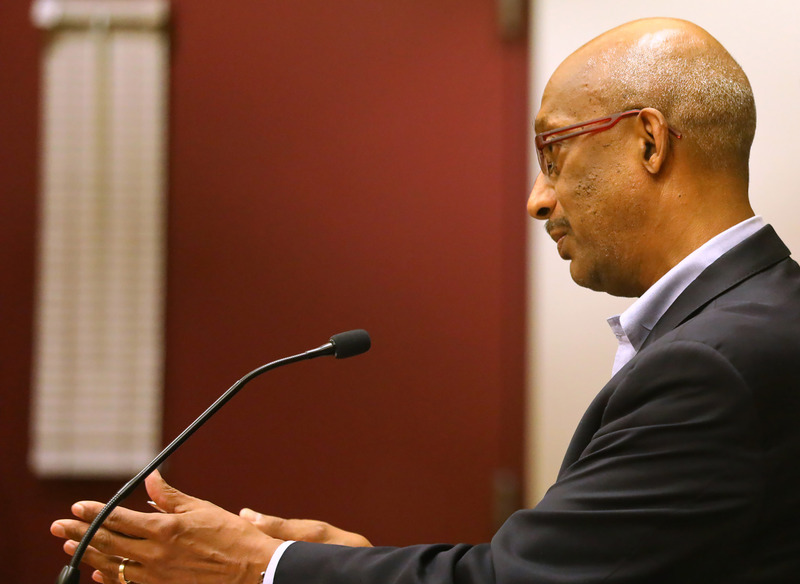 Assistant state public defender Stanley Woodard, who works in Dane County, said even if just a small percentage of Dane County defendants are held for lack of money, there are still some who probably do not need to be in jail. "I can't look at a person as a statistic," Woodard said. "I have to look at him as a human being and how it affects him." Assistant state public defender Stanley Woodard represents a client as bail is set during initial appearance court at the Dane County Public Safety Building on May 25, 2018. Woodard says he represents poor people who cannot afford cash bail who probably do not need to be in jail. Public defender Fritz Anderson of Superior sighed when asked how many of his clients have been in jail simply because they could not pay bail. "Unfortunately, way too many." "He was eventually exonerated, but he sat in jail for six months," Anderson said. "That was six months of his life — gone." Milwaukee County uses a risk assessment tool to determine which defendants to release before their court dates. The county also has pretrial services to help defendants show up to court and comply with bail conditions. With these strategies, Milwaukee County decreased its use of cash bail from 64 percent of defendants in 2009 to 40 percent in 2012. "We have the presumption of innocence now, and yet we have people every single day that are being put in custody on high cash bail based on poverty alone," State Public Defender Kelli Thompson said. Attorney Blake Duren — who often takes cases from the Wisconsin State Public Defender's Office and works in counties including Adams, Dane, Iowa, Juneau, Richland and Sauk — said most of his low-income clients get released pretrial without having to post cash. "Most of them are held on signature bonds," Duren said. "And, especially in some of the smaller rural counties, most of the time the judge will ask the defendant, 'How much can you pay?'" Regardless of how and why some poor defendants are assigned cash bail, one thing remains true about Wisconsin's jails: The rich can still buy their way out. 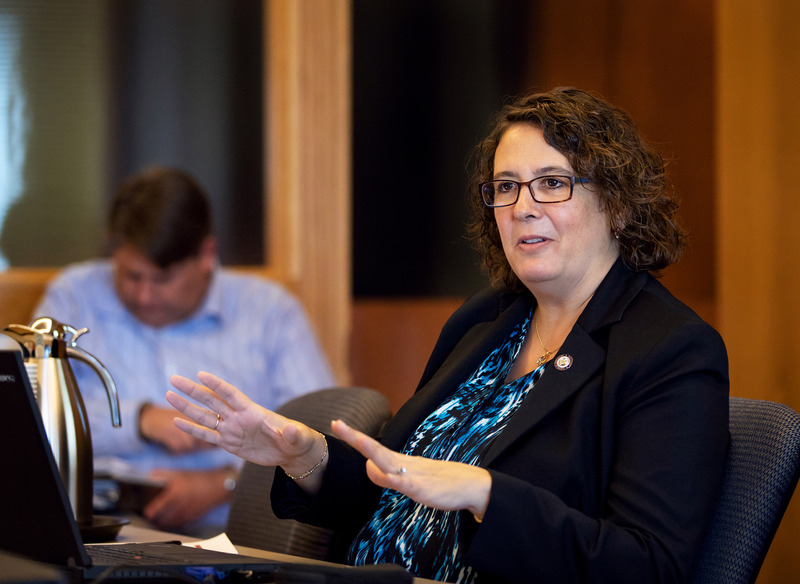 Rep. Cindi Duchow, R-Town of Delafield, plans to re-introduce a state constitutional amendment to require judges to consider the danger a defendant might pose to the community when setting bail. The proposed amendment passed the Wisconsin Assembly but stalled in the state Senate in the 2017-18 session. The Legislature formed a study committee on bail and conditions of release to review Duchow's proposal, examine other problems with Wisconsin's pretrial laws and recommend solutions to the Legislature. Committee members have not yet decided what proposals they will recommend. Newly elected Democratic Gov. Tony Evers — whose goal is to cut the state prison population in half — has formed a panel to advise him on criminal justice and public safety matters. State Rep. Cindi Duchow, R-Town of Delafield, plans to re-introduce a constitutional amendment that would require judges to consider the danger a defendant poses to the community when setting bail amounts. Right now, judges in Wisconsin are only supposed to use bail as a tool to ensure the accused appears for the next court hearing. Former Rep. Terese Berceau, D-Madison, voted "yes" on Duchow's proposal, explaining, "I wouldn't want someone guilty of domestic abuse released to commit the same crime while awaiting trial." But Rep. Evan Goyke, D-Milwaukee, a former public defender, said Duchow's proposal does not prevent dangerous but well-funded defendants from going free. A member of the study committee, Goyke is drawing up a proposal for "substantial reduction or elimination" of cash bail. "Bail affects only those who can't afford to pay the amount set by the judge, but doesn't really prevent those who are dangerous from reentering the community as long as they can meet the payment," Goyke said. Rep. Evan Goyke, D-Milwaukee, member of the Legislative Study Committee on Bail and Conditions of Pretrial Release, is working on possible legislation to limit or eliminate cash bail in Wisconsin. 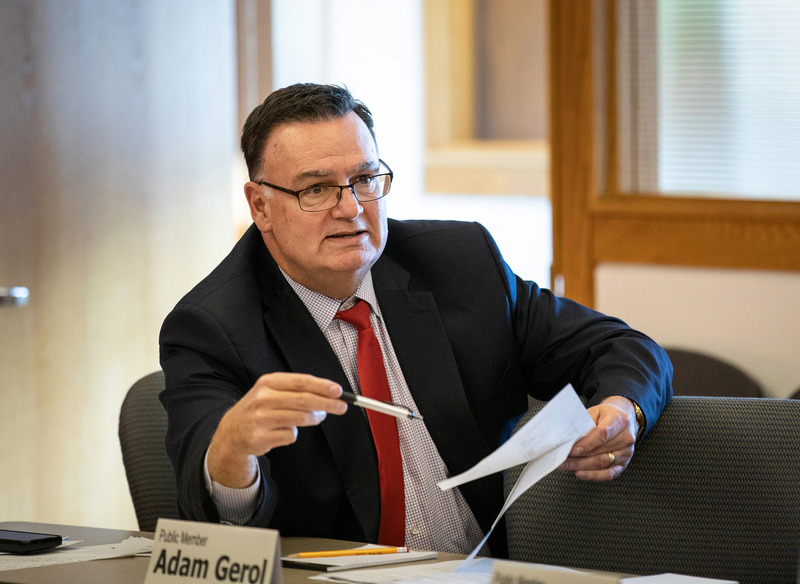 Committee members are scheduled to vote Jan. 29, 2019 on whether to recommend Goyke's proposal and other changes in pretrial procedures to the state Legislature. 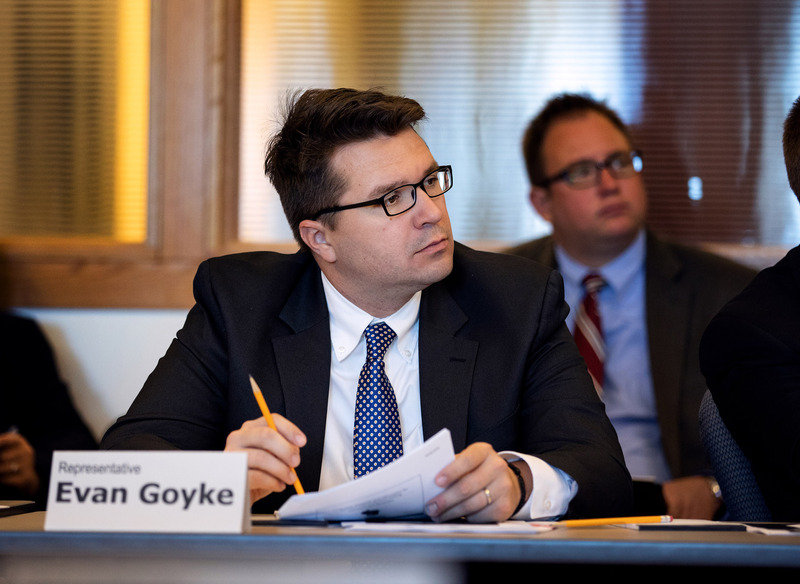 Goyke is seen here at an Oct. 16, 2018 meeting. Retired judge Jeffrey Kremers said what Wisconsin needs is a law that would allow judges to hold defendants who pose significant public safety risks with no option to bail out. Those not considered dangerous could be released without bail — taking a defendant's ability to pay out of the equation. "Until we get that, then our only option for someone who we all agree is very dangerous, a super flight risk, is to set high cash bail," Kremers said. "I could set your bail at $500,000. What I don't know is that you have a brother who's a hedge fund manager who comes in and posts the $500,000 and you're out." Now-retired Milwaukee County Circuit Judge Jeffrey Kremers says using cash bail causes poor, nonviolent defendants to get stuck in jail while rich, potentially violent defendants walk free. Says Kremers: "I could set your bail at $500,000. What I don’t know is that you have a brother who's a hedge fund manager who comes in and posts the $500,000 and you're out." The U.S. Supreme Court has already approved such pretrial, or preventative, detention laws in other states. Wisconsin has such a law, but it has procedural flaws that render it useless. "It's never been used — ever," Kremers said. Said Nicholas McNamara: "Eventually, I do think there will come a time when cash bail is not being used. I mean, that is the trend, and I think that that's probably a positive goal. But people must understand that with that will be preventative detention. … There will be some people — even though they are still innocent — there's enough public safety concern to hold them in custody." The state study committee is considering proposals that would allow judges to keep dangerous defendants in jail without bond before trial. Committee members said any changes should safeguard against excessive detention and prioritize release. Committee members are scheduled to finalize their recommended legislation at their next meeting Jan. 29. 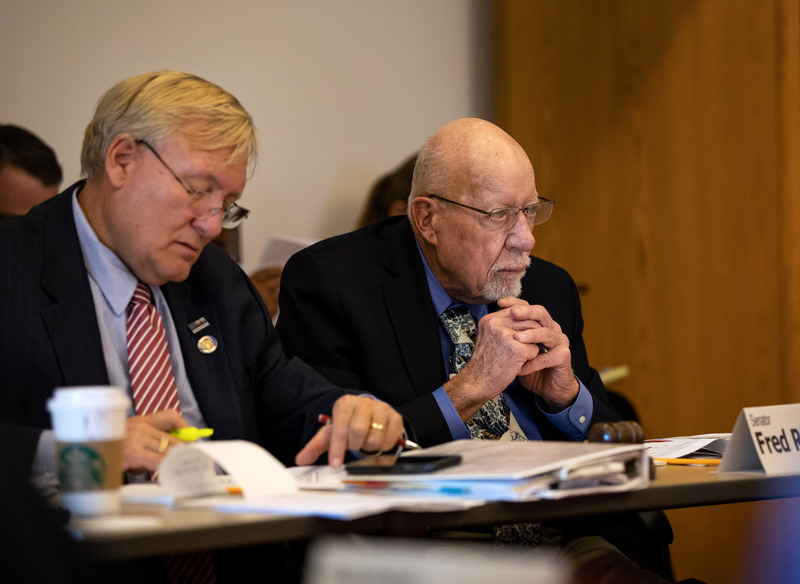 Wisconsin Sen. Van Wanggaard, R-Racine, left, and Sen. Fred Risser, D-Madison, are chairman and vice chairman, respectively, of the Legislative Study Committee on Bail and Conditions of Pretrial Release. The committee is drafting possible legislation to change Wisconsin's pretrial and bail system. Committee members are scheduled to vote on final recommendations Jan. 29, 2019. Wanggaard and Risser are pictured at the committee's Oct. 16, 2018 meeting. Rep. Evan Goyke said he will vote against pretrial detention changes unless they are paired with cash bail limitations. Spurgeon Kennedy, vice president of the National Association of Pretrial Services Agencies, agrees with Goyke that cash bail should be limited or eliminated. Otherwise, he said, judges will keep setting bail amounts that put the poor behind bars. "Money has no place in a fair and effective pretrial system," Kennedy said. Constance Kostelac, director of the state Department of Justice's Bureau of Justice Information and Analysis, said these counties have implemented, or are in the process of implementing, mechanisms to help ensure defendants meet terms of their release and show up in court, as well as programs that divert defendants from jail altogether. Constance Kostelac, director of the state Department of Justice's Bureau of Justice Information and Analysis, says seven Wisconsin counties are implementing a coordinated pretrial reform pilot. Here, Kostelac presents at an Oct. 16, 2018, meeting for the Legislative Study Committee on Bail and Conditions of Pretrial Release. The counties will also pilot the "Public Safety Assessment," an algorithm that helps judges identify low-risk defendants so they can be released to go home — without paying cash bail — pretrial. This tool, called a risk assessment, is already being used in Milwaukee and Dane counties. 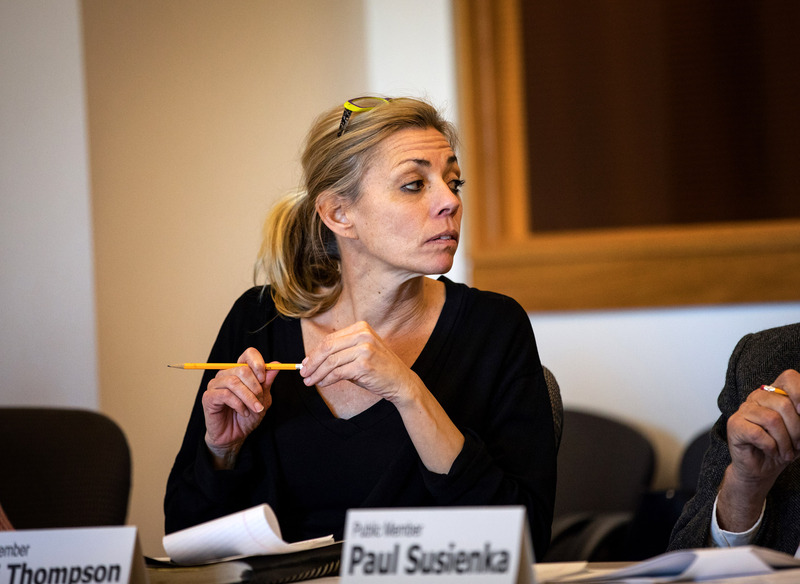 "We are moving into this trying to create a systematic approach to pretrial across all these different jurisdictions," said Tiana Glenna, coordinator for Eau Claire County's Criminal Justice Collaborating Council. "The resources aren't in place," Horne said. "They don't have the tools. They don't have the people. They don't have the time." La Crosse County Circuit Judge Scott Horne says many small Wisconsin counties lack resources to change their pretrial systems. "They don't have the tools. They don't have the people. They don't have the time." Horne is seen here at an Oct. 16, 2018, meeting of the Legislative Study Committee on Bail and Conditions of Pretrial Release, of which he is a member. "Cash bond is often seen as a real evil more recently … and I'm not so sure I agree entirely with that — or that I even agree with it at all," Hanson said. "Sometimes, it's exactly the right answer." A 2013 study of the Kentucky jail system by the Arnold Foundation showed people held pretrial get sentences that are nearly three times longer than those who were released pending trial. Defendants who served an entire pretrial period in jail were four times more likely to be convicted of the charged crime than those released at some point during the pretrial waiting period, the study found. "The intuitive response is the best way to save the community … is that we lock people up — 'That will make us all safer'" La Crosse County Circuit Judge Elliott Levine said. "And it just is not true." State Public Defender Kelli Thompson is seen at the Oct. 16, 2018, meeting of the Legislative Study Committee on Bail and Conditions of Pretrial Release. At a December 2018 meeting, Thompson, a member of the committee, remarked, "We have people every single day that are being put in custody on high cash bail based on poverty alone." A 2014 study analyzed records of more than 150,000 defendants in Kentucky from 2009 and 2010. It found that low-risk defendants incarcerated before trial for just two to three days were 40 percent more likely to commit another crime pretrial than those who were released within 24 hours. The study was also conducted by the Arnold Foundation, which works to advance community safety and improve the criminal justice system. "The longer you detain a low-risk person, the more you destabilize them, and the more you destabilize them, the more likely they are to get rearrested or pick up new charges down the road," said 1st Judicial District Court Administrator Holly Szablewski, who works in Milwaukee County. And when people are released pretrial, they tend not to be a threat to public safety. 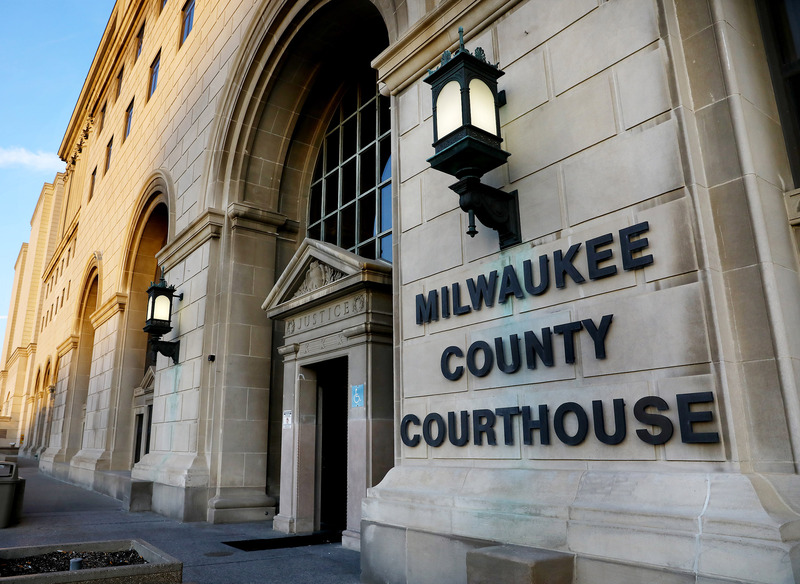 In Milwaukee County, 98 percent of those released to pretrial supervision whose cases were resolved in 2017 did not commit new violent crimes, according to a presentation by Jeffrey Kremers. In Washington, D.C., which has essentially eliminated the use of cash bail, 94 percent of defendants were released pretrial without cash bail in fiscal year 2017, Spurgeon Kennedy said. Ninety-one percent appeared for court, 88 percent did not commit a new crime and 98.5 percent did not commit a new violent crime. "If I can release 94 percent and most come back, you don't need money in the system," Kennedy said. 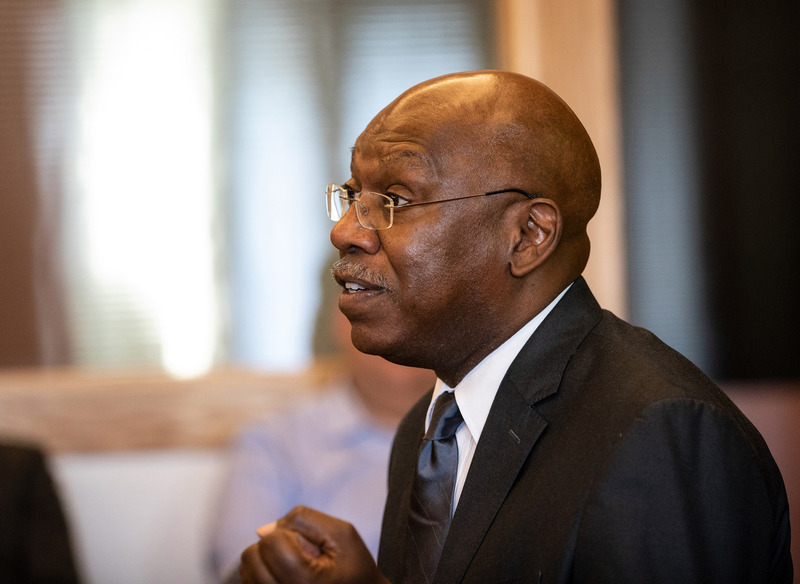 Spurgeon Kennedy, vice president of the National Association of Pretrial Services Agencies, speaks at an Oct. 16, 2018, meeting of the Wisconsin Legislative Study Committee on Bail and Conditions of Pretrial Release. Kennedy said Washington, D.C., has essentially eliminated cash bail, allowing 94 percent of defendants to be released while they awaited trial in 2017. More than 90 percent came back for their court dates. Some politicians and judges have an interest in keeping the system as is, since change can give ammunition to opponents to label them as soft on crime. In New York, the governor's plan to reduce or eliminate cash bail for minor offenses was reportedly scuttled amid opposition from the state's District Attorney Association. When Georgia's Republican governor proposed requiring judges to consider the financial circumstances of an accused person when setting bail, Putnam County Sheriff Howard Sills sent an email to the Georgia Sheriffs' Association, stating the governor did more for criminals "than Lucifer and all of his demons combined." Despite the heated rhetoric about "coddling" criminals, the plan passed Georgia's GOP-run Legislature, and was signed into law in May 2018. Wisconsin lawmakers will soon have the chance to decide whether to join the tide of states reforming the way defendants are treated pretrial. Penny Stinson, for one, is optimistic about the national picture. Stinson is past president of the National Association of Pretrial Services Agencies. Penny Stinson is past president of the National Association of Pretrial Services Agencies, which educates practitioners and the public on pretrial release and diversion. She is pictured here after a June 23, 2017 meeting with investigative journalists where she expressed optimism for the future of bail reform. Speaking in June 2017 at a meeting of investigative journalists in Phoenix, Stinson marveled that even deeply conservative states such as Arizona were contemplating ending cash bail for minor offenses. 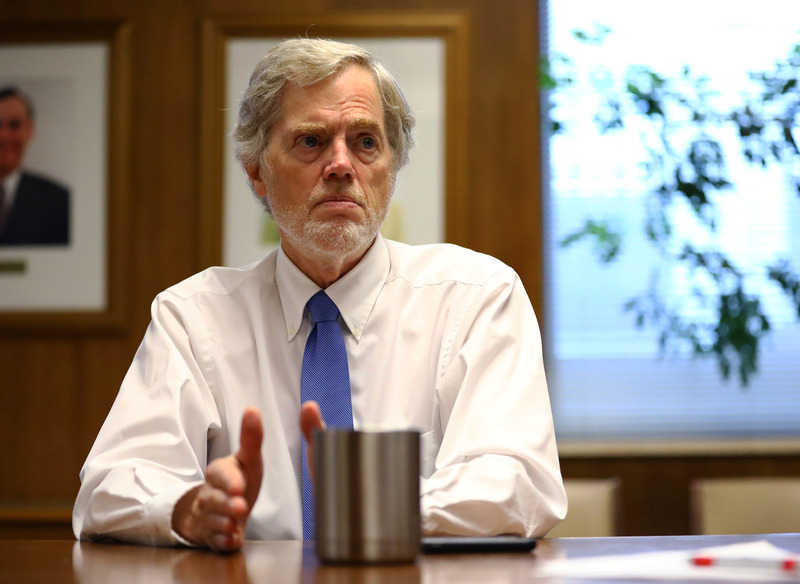 "For many years, I described my experience in pretrial [reform] as feeling like I was on the Titanic with a thimble bailing — no pun intended — water as fast as I could," Stinson said. "Changing a culture is not an easy thing to do. … But we are certainly on the path to see some really meaningful reform in our criminal justice system." "I didn't do it. I figured I would get out right away, but that didn't happen. "I was in jail," David said, "for something I didn't do." Reporter Riley Vetterkind contributed to this report. Sheila Terman Cohen, one of the authors, is also a donor to the nonprofit Wisconsin Center for Investigative Journalism. The Center collaborates with Wisconsin Public Radio, Wisconsin Public Television, other news media and the UW-Madison School of Journalism and Mass Communication. All works created, published, posted or disseminated by the Center do not necessarily reflect the views or opinions of UW-Madison or any of its affiliates.